California Attorney General Kamala Harris isn’t exactly alone in abusing her powers as the state’s top law-enforcement official when it comes to ballot measures.  When they had the post, Gov. Jerry Brown and Treasurer Bill Lockyer reveled in using the AG’s powers to punish measures they or their patrons didn’t like and to help measures that they or their patrons liked. “A voter who is approached to sign petitions for this measure would naturally assume that its primary thrust is eliminating drug-addled doctors, and if it qualifies for the ballot, one can be certain millions of dollars will be spent on its behalf to drive home that seemingly lofty goal. Now there is a very strong chance that a judge will throw out Harris’ ridiculously slanted ballot language. But that doesn’t hide the corrupt intent of our attorney general: to benefit her fellow lawyers, by legal hook or crock. 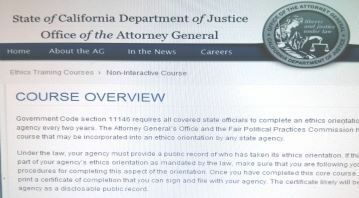 Here’s what’s funny: Googling “California state government ethics” turns up the fact that the AG’s office is responsible for administering an ethics test to state officials! “Government Code section 11146 requires all covered state officials to complete an ethics orientation conducted by their agency every two years. The Attorney General’s Office and the Fair Political Practices Commission have devised this core course that may be incorporated into an ethics orientation by any state agency. But has Harris taken the test? If so and she passed, she’s since forgotten what it means to be ethical. This is one more example of a point I made earlier this week when writing about the Bay Area Rapid Transit system: Corrupt, dishonest behavior that would lead to civil or criminal sanction in the private sector is taken for granted in the public sector. Were she chief counsel for a corporation that behaved this horribly, Kamala Harris would be pilloried, and correctly so. In Sacramento, however, she faces little blowback — and is probably chortling at the brazen way she has figured out how to reward her friends in the trial-lawyer community. That $250K cap should be completely erased. The jury SHOULD be the sole party to determine factual and financial damages. You left out the fact that Harris will be the Governor who succeeds Brown, unless DiFi or Boxer retire and she takes one of their Senate seats first. Either one those 3 as his successor would be the final nail in California’s coffin. The 3 witches of MacBeth. My personal experience with our AG’s office went quickly downhill the day she called my home threatening to have me arrested and thrown into prison on any false charges she could think of if I ever again filed another complaint as I was required to do by law and by order of the California State Bar while taking a political science class in college, we were required to write an essay on a politician who I discovered was practicing law without a license according to the CA BAR as an Asst DA, stand in Judge and even had his own Judge Judy type TV show on the local channel for many years while running for political office. DA Harris threatened if I ever told the media or filed another complaint I would be imprisoned and never heard from again to protect her friend she covered up for however I was warned again by the CA BAR I have a duty to testify regardless. I then discovered the same college I was attending as a severely physically disabled student with a 3.8GPA by my forth semester, was receiving very illegal kick backs or commissions for each student loan they signed up while openly discriminating against disabled students by unlawfully denying the CAL Grant and finding other ways to force disabled students into accepting student loans instead of receiving grants or even scholarships so again the AG’s office refused to investigate while even refusing to state why or the subject matter on the return letters in order to try to cover up for the outright blatant criminal behavior of the colleges financial aid offices and AG’s office who allowed many disabled students to be banned or retaliated against for being honest by the same colleges who it seems are getting away with some of the worst corruption very similar to that of South Lake Tahoe, CA in the mid to late 1980’s. Innocent disabled students are paying the ultimate price for Kamala Harris’s actions to cover up her friend’s unlawful actions so as they say, corruption only begets corruption. Funny the same thing happened to me after I made a complaint against Assistant District Attorney Robin Anthony Sears from El Dorado County Court South Lake Tahoe about malicious prosecution, falsifying and withholding evidence. She Said they work for her she is their boss so why am I complaining to her about him? If she is his boss then maybe she cares if they are breaking laws and failing to meet any ethics what so ever! FBI needs to step in and do an investigation not only into Ms. Harris’s ethics and total disregard of the law, but also into the El Dorado county Superior Court of South Lake Tahoe as they send thousands of innocent people to prison every year for sport and profit! Wake Up people it’s an epidemic of gigantic proportions! I read the shoking comments from phil and mellisa. I saw harris on a youtube news report about the billion $ home forclouser disaster. The look on her face was like a birthday party smile. Totally heartless. The extreem liberal state of Mn has a similar attorney general exposed on a youtube by a mn lawyer. He refers to it as a 40 years political machine of corruption.Thug gangs.